With the 2016 MLB season right around the corner, Sports Illustrated is previewing everything. With the start of the 2016 MLB season right around the corner, Sports Illustrated’s baseball staff is breaking down everything, from breakouts to World Series predictions. Find all the preview content below. Time to place your bets, everyone: On this week's edition of The Strike Zone podcast, SI senior writer Ben Reiter joins Ted Keith and Stephen Cannella to take on Las Vegas, as the trio discusses predicted 2016 win totals across the league and pick their standout over/under lines. Having just completed a spring training trip to Arizona and Florida, Ben jumps on the air with Ted and Steve to discuss which teams look strongest and weakest relative to their Vegas projections, focusing on four in particular: the Angels, Rays, Rangers and Rockies. 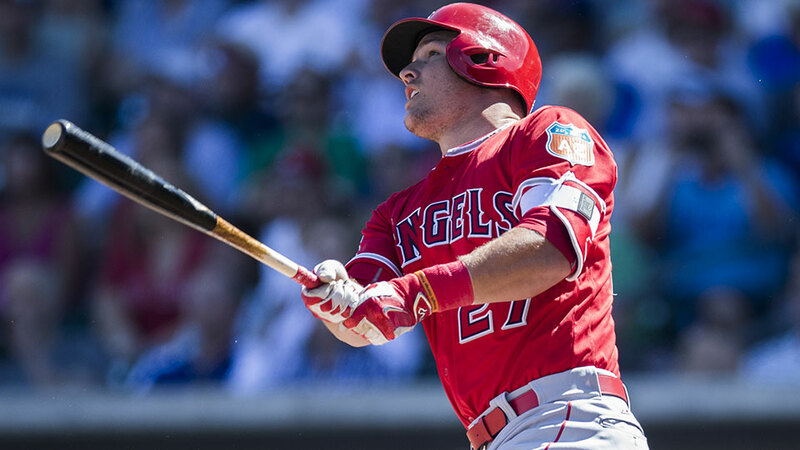 Over the course of the show, the trio debate whether the Angels should consider the unthinkable and trade Mike Trout to rebuild a talent-deficient roster; if the Rays can find enough offense to supplement their terrific pitching; if the Rangers can prove that last year's American League West title was no fluke; and if the Rockies can actually find a path to future contention. Finally, Ben, Ted and Steve do a lightning round over/under for several teams, including the Cubs, Red Sox, Pirates and more. 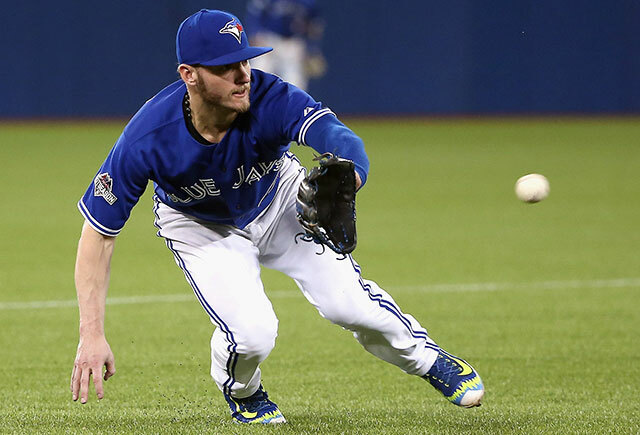 Who will be the American League’s breakout players in 2016? Below are my five picks, listed alphabetically, who could take a huge step forward this season. Before we get to the list, though, a few quick notes on the selection process. Rookies were not eligible, as Jay already did a fine job identifying the AL’s most promising newcomers last week. I’ve also excluded 2015 rookie stars who are lined up to have their first full seasons this year. Carlos Correa, Francisco Lindor, Miguel Sano and Luis Severino could all be first-time All-Stars in 2016, but no matter how good Correa might be this year, last season was clearly his breakout. Instead, I tried to identify the players whose major league track records are a little longer but less clearly pointed toward stardom whom I nonetheless expect to be impact players in 2016. The 40th pick in the 2011 draft, Bradley was one of the Red Sox’s top prospects in 2013 and ’14, but by last season, the large discrepancy between his performances at Triple A and in the majors had become a problem. An elite defensive centerfielder, Bradley doesn’t have to rake to be valuable, but through Aug. 8 of last year, he had hit just .188/.267/.268 in 601 major league plate appearances. Then it happened: In a span of five games, Bradley went 13 for 22 with four doubles, two triples and three home runs. That performance was capped by a 5-for-6 afternoon against the Mariners at Fenway in which Bradley collected five extra-base hits and drove in seven runs in a 22–10 Red Sox victory. When the smoke cleared, his season batting line was .250/.340/.500 (up from .203/.307/.351 prior to the game). Fluky as that might have seemed, Bradley maintained that new line the rest of the way, hitting .248/.331/.496 over his final 45 games as the Red Sox made a late surge toward respectability. He bore some resemblance to the hitter who hit .281/.365/.451 over parts of three Triple A seasons—enough so that the Red Sox entered the off-season with full confidence in Bradley, a player they have often contemplated trading, as their centerfielder for 2016. But what makes Bradley a potential breakout player is his glove, not his bat. All he has to do at the plate is hit well enough to keep the centerfield job; his play in the field will make him a star. What a second: Castro is a three-time All-Star, has nearly 1,000 major league hits and led the NL with 207 hits in 2011. How does he qualify for this list? Because he posted a mere 89 OPS+ over the last three seasons combined and averaged less than one Win Above Replacement per season over those three campaigns. That cost him the shortstop job in Chicago last season and led to him being traded to the Yankees in December. Call Castro a bounceback candidate if you prefer, but his continued stardom is hardly a given at this point. 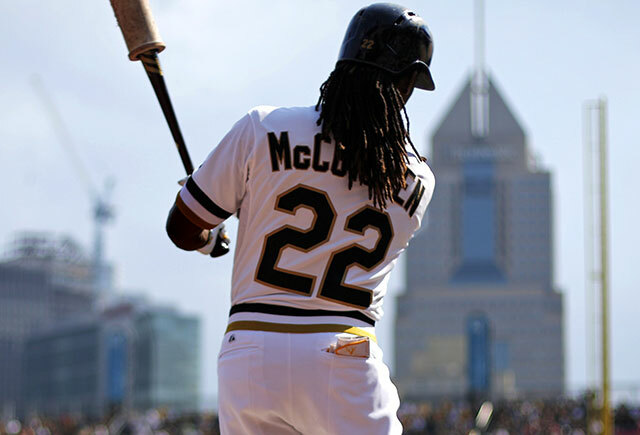 That said, he won’t turn 26 until next week, and his bat found new life after he was benched in August. Castro hit .353/.373/.588 in 143 plate appearances over the remainder of the regular season, climbing off the bench to claim the Cubs’ second base job, and he will play that lower-profile, lower-pressure position in New York, as well. Castro isn’t going to repeat that line over a full season, but he’s shown that he can hit .300 with a .340 on-base percentage when he's right, and a .450 slugging percentage isn’t out of the question as he moves closer to his prime-age seasons. Add in improved play in the field thanks to his less-demanding position, and Castro could be a four-win player for the Yankees this year, if not better. Just 22 years old, Odor is the next great second baseman in baseball. The Rangers rushed him to the majors in 2014, promoting him directly from Double A after trading Ian Kinsler and losing Jurickson Profar to injury. Odor held his own on talent alone but should have been at Triple A, and he was clearly overmatched to start the season. But after just a month back in Triple A (during which he raked to the tune of a .352/.426/.639 line), he came back ready. From his return on June 15 through the end of the regular season, Odor hit .292/.334/.527 with 15 home runs in 91 games. He was also an impact player in the Division Series against the Blue Jays, hitting .278/.381/.500, leading the Rangers in times on base (eight) and runs scored (seven) in the five-game series and making things happen with his bat, his legs and his head. He should be in the conversation for the AL’s starting second base spot in the All-Star Game for the next decade, at least. Big things were expected from the 5’8” Stroman after his impressive rookie season in 2014, but a torn anterior cruciate ligament in his left knee nearly wiped out his '15 campaign entirely. It’s evidence of his extraordinary character that he not only refused to see his season as lost—he worked his way back for a September cavalry run for the Blue Jays’ rotation—but also used the extra time on his hands to finish his degree at Duke. Stroman’s return exceeded all expectations: He made four regular-season starts, beating the second-place Yankees twice and allowing just two runs in 22 innings in his final three outings. 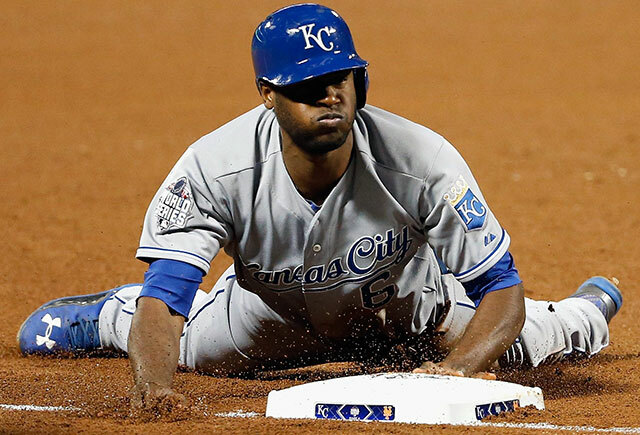 He then leapfrogged deadline addition David Price to become Toronto’s playoff ace, drawing the start and earning the win in the decisive fifth game of the Division Series against the Rangers (besting Cole Hamels), then pulling out another big win in Game 3 of the ALCS to avoid a sweep at the hands of the Royals. Stroman may have to contend with an innings limit this year due to his youth (he’ll be 25 on May 1), his size, the time he missed last year and the fact that he has never thrown more than 166 1/3 innings in a single season across all levels. Still, he should be the ace of another playoff team this season, and one scout I spoke to this spring thinks he could contend for this year’s AL Cy Young award. What Stroman has in brains (both on the mound and off), Walker has in brawn. Possessed of a classic starting pitcher’s build, the 6’4” Louisiana native is a former blue-chip prospect with an upper-90s fastball whose emergence as a front-end starter has been slowed by injury (shoulder bursitis in early 2014) and the need for some adjustments to his mechanics and his repertoire. Things started to turn around for Walker with his final start last May, though by then he already had an ERA in the sevens that would distort his strong finish. Over his final 20 starts last year, Walker went 10–3 with a 3.62 ERA, 0.98 WHIP and a 6.94 strikeout-to-walk ratio. 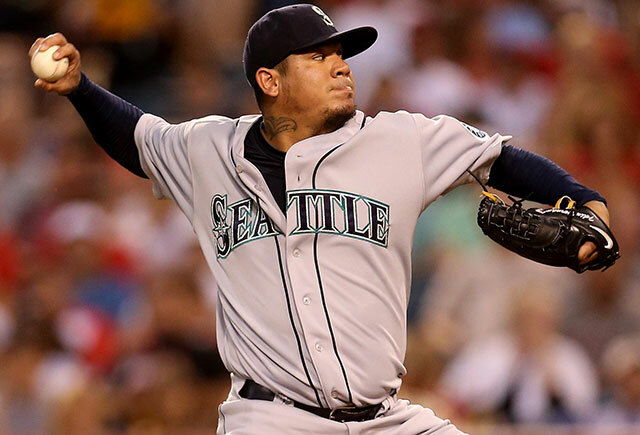 Now 23, he has a 170-inning season under his belt (169 2/3, to be exact) and a much improved defense behind him courtesy of new general manager Jerry Dipoto. Walker looks poised to be the front-end pitcher he’s long been expected to be. 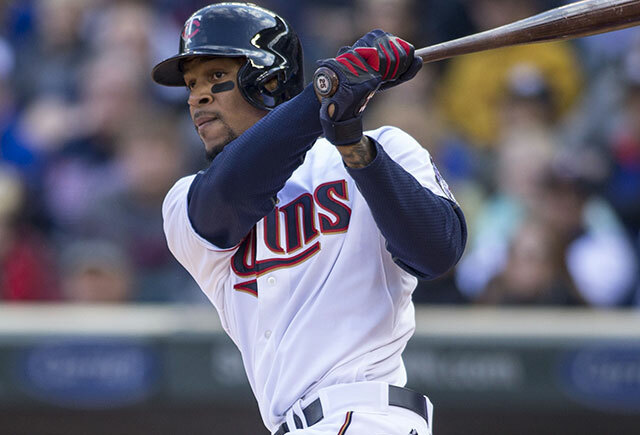 Byron Buxton is just 22 years old, but it feels as though we—or more to the point, the Minnesota Twins—have been waiting forever for the speedy centerfielder to become a star at the major league level. The No. 2 overall pick of the 2012 draft cracked the top 10 on multiple prospect lists the following year, was the consensus top prospect in the game heading into '14 and topped three of the four major lists (Baseball America, Baseball Prospectus, ESPN.com and MLB.com) a year ago. He finally reached the majors last June and played 46 games for the Twins, but a sprained left thumb cost him six weeks, making it his second season in a row missing significant time due to injuries. One at-bat short of exhausting his rookie status (the cutoff is 130), he still impresses talent evaluators to such a degree that only Dodgers infielder Corey Seager outranked him on the major lists this year, making him the most sensible choice to lead our ranking of AL impact rookies. Not every top prospect is headed for the majors this season, of course, and many who are still have obstacles in their paths, whether they be service clock considerations, veteran stopgaps blocking their path on the parent club's roster or the need for finishing touches at Triple A. After examining five such youngsters from the National League on Tuesday, what follows here is our American League list. As talented and promising as each of these players are, none is as strong a bet to start the season with a big league job à la Seager or Mets pitcher Steven Matz. Players are presented by the average of their ranking on the four prospect lists mentioned above; a hat tip to the hard workers at those sites whose observations drive the scout-based information herein. Note that while players with professional experience in Japan, South Korea and Cuba are considered rookies and made some prospect lists, they are not being considered here. Between wrist and concussion woes in 2014 and then the thumb injury last year, Buxton has lost significant developmental time, playing in just 149 regular season games across the two seasons, plus another 13 in the 2014 Arizona Fall League. In Double A and Triple A last year, he hit .305/.367/.500 with 22 steals and 13 triples in 72 games, but at the major league level, he looked overmatched, struggling with breaking ball recognition en route to a .209/.250/.326 showing with an ugly 44/6 strikeout-to-walk ratio. Buxton does have some holes in his swing that major league pitchers were able to exploit, but there’s every reason to think that he will come around. Opinions on his power range from above-average to true plus; he’s not going to mash 30 to 40 home runs like Mike Trout, but 20 is certainly possible, and that would look all the more tantalizing when paired with 40 steals. 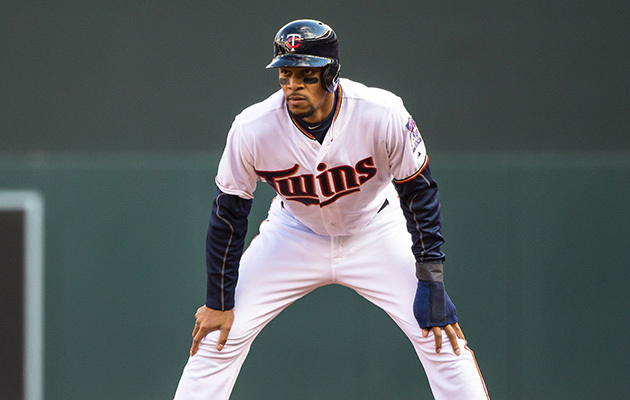 The Twins project him to be their Opening Day centerfielder, but that doesn’t mean that they’re without alternatives if he struggles this spring. Danny Santana, who played 69 games there in 2014, is the most likely to start in center if Buxton returns to Triple A, with Eddie Rosario probably getting a handful of games out there as well. Those are both short-term solutions however; expect Buxton to spend most if not all of this season in Minnesota. Gallo is a familiar name to prospect hounds thanks to his light-tower power and his penchant for swinging and missing. The 22-year-old lefty slugger, a 2012 supplemental first-round pick who made his major league debut last June 2, homered in his first two games for Texas and in five of his first 14. 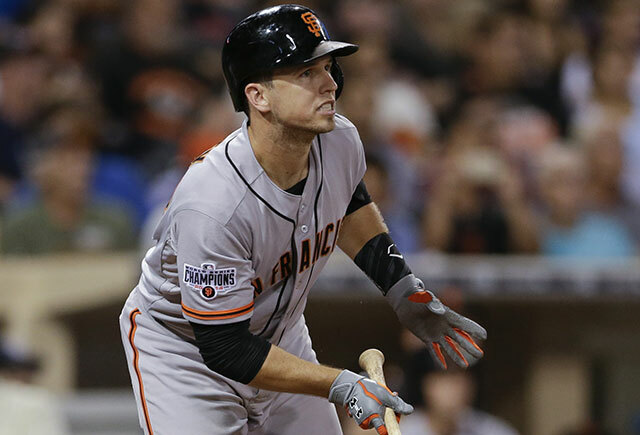 But then pitchers began to exploit his aggressive approach and the holes in his swing, and he struck out 22 times in his final 40 plate appearances before being sent back to the minors. Including a September call-up during which he played sparingly, he hit just .204/.301/.417 with six home runs in 123 PA for the Rangers, as well as .240/.342/.520 with 23 homers in 374 PA combined at Double A Frisco and Triple A Round Rock. He’s working this spring on improving his plate discipline and making the right adjustments from pitch to pitch and at-bat to at-bat without getting caught up in a cycle of endless tinkering. Beyond Gallo’s power—the product of his plus bat speed, quick wrists and the tremendous leverage he creates from his 6'5", 230 pound frame—he’s certainly got the arm for third base, though his quickness and hands have raised questions, and he isn’t going to supplant incumbent Adrian Beltre. Texas experimented with him in leftfield as well last year, and that’s his more likely route to immediate major league playing time. That said, there's quite a crowd competing for time both at third base and leftfield, including the recently signed Ian Desmond; former top prospect Jurickson Profar; and veterans Josh Hamilton and Justin Ruggiano, who could platoon in left. And that's without even mentioning 20-year-old outfield prospect Nomar Mazara, who placed even higher on the BP and ESPN lists. Still, Gallo should be in the majors at some point this season. 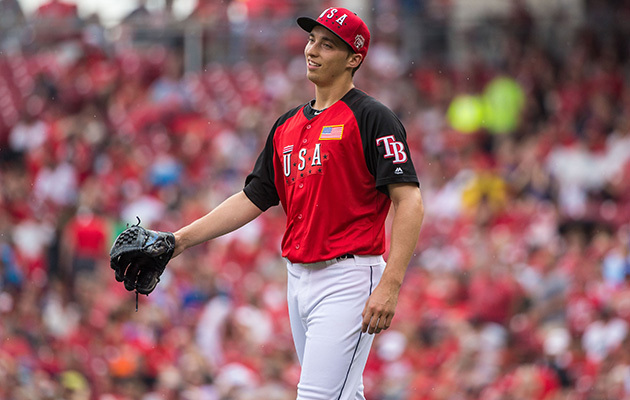 The 23-year-old Snell is the latest in the long line of Rays pitching prospects, “a legit, top-of-the-rotation, lefthanded pitching talent,” according to according to Jim Callis of MLBpipeline.com, an MLB.com website. A supplemental first-round pick back in 2011, the 6'4" lefty is coming off a dominant 2015 in which he rocketed from High A to Triple A, beginning the year with a 46-inning scoreless streak and finishing with eye-popping numbers, including a 1.41 ERA (the lowest of any starter in the minors) with 10.9 strikeouts and 0.5 homers per nine in 134 innings. Snell’s 92 to 95 mph fastball can touch 97, but it’s the pitch’s late life that draws raves; BP's Crawford called it “borderline plus-plus because of its movement [with] more life than any lefthanded pitching prospect in baseball.” His slider is a second plus pitch, with a sharp break that generates swings and misses; noted ESPN's Law, the pitch “looks as if it comes out of the sky thanks to his high three-quarters slot and ability to stay on top of the ball.” Snell’s changeup, though still something of a work in progress, has plus potential as well. And while his control has been an issue, it improved markedly last year as he showed off a new-found maturity and coachability. So long as Chris Archer, Jake Odorizzi, Drew Smyly, Erasmo Ramirez and Matt Moore are all healthy, Snell doesn’t figure to start the year in the majors. Still, Smyly, who made just 12 starts while pitching through a partial rotator cuff tear, and Moore, who made a rough return from Tommy John surgery, have their own questions to answer this spring. Snell could return to Triple A for as few as 20 days to delay his free agency a year, and it wouldn’t be a surprise if he makes his debut in late May or early June. Such is the Twins’ wealth of young talent that they have two prospects here: Buxton and Berrios, the latter a 21-year-old righty drafted out of Puerto Rico as a supplemental first-rounder in 2012. Splitting last year between Double A and Triple A, he put up a 3.03 ERA with 9.5 strikeouts per nine (against just 2.1 walks per nine) in 166 1/3 innings; his total of 175 strikeouts led all minor leaguers. Minnesota's fans clamored for him to join the much-improved big club as it battled for a wild-card berth last summer, but he was already 27 innings beyond his '14 count, and his age and smallish size (6-foot, 185 pounds) already generate concerns about his durability. Beyond Ervin Santana, Phil Hughes and Kyle Gibson, the Twins have no shortage of rotation candidates, including Tommy Milone, who’s coming off a solid season (3.92 ERA in 128 2/3 innings) and is out of minor league options; Ricky Nolasco, who’s been dreadful over the past two seasons but is still owed $25 million; Trevor May, a power arm who split last year between the bullpen and rotation; and Tyler Duffey, who made a solid late-season showing in the rotation. Still, Berrios is good enough to cut the line once the Twins feel that he’s ready, and with this team now a viable contender, there’s little time to waste with subpar pitching. Expect to see him in Minnesota soon. The 6'4", 240-pound Reed is a 22-year-old lefty-swinging slugger whom Houston drafted in the second round in 2014 out of the University of Kentucky, where he also pitched. 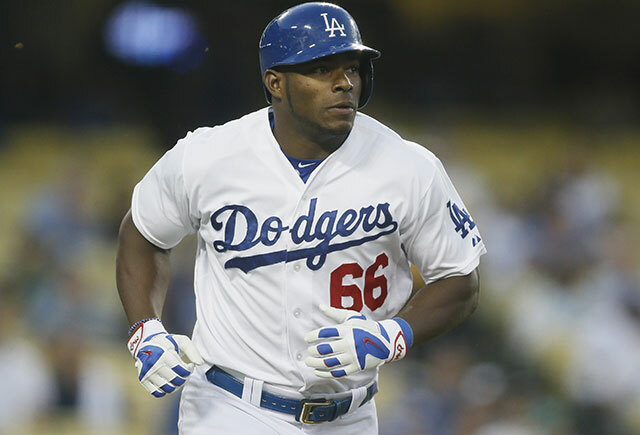 Last year, he hit a combined .340/.432/.612 with 34 homers combined at High A and Double A. His approach at the plate and his plate discipline are both outstanding, and his power is borderline plus-plus, though concerns about his bat speed have led to a great deal of variance in his prospect rankings. ESPN's Keith Law wrote, “The knock on Reed coming out of Kentucky . . . was that his bat speed wasn’t great, maybe not even quite average. . . . His eye at the plate and his decision-making are both so good, however, that even if he gets a pitch he can’t turn on, he can still shoot it the other way for a hit.” That’s particularly important, because Reed is a player who is already facing frequent defensive shifts. Defensively, Reed has a plus throwing arm and moves well for a big guy, which is to say that he’s playable at first base, but he's not the second coming of Keith Hernandez. With just 53 games at Double A, he may be in need of more seasoning, and the current Astros’ regime has yet to call up a position player without at least a cursory stop in Triple A; even 2015 AL Rookie of the Year Carlos Correa played 24 games there last year. 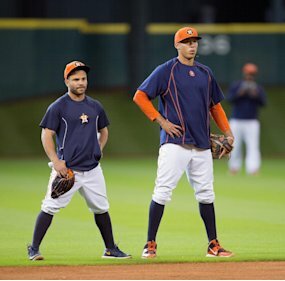 But with Jonathan Singleton the top alternative and the likes of Preston Tucker, Marwin Gonzalez, Luis Valbuena and (the other) Matt Duffy also in the mix, Reed presents the most complete solution to the Astros’ first base situation. The guess here is that unless one of those other players is on a roll, Reed could be in Houston around the time of the Super Two cutoff in late May or early June.